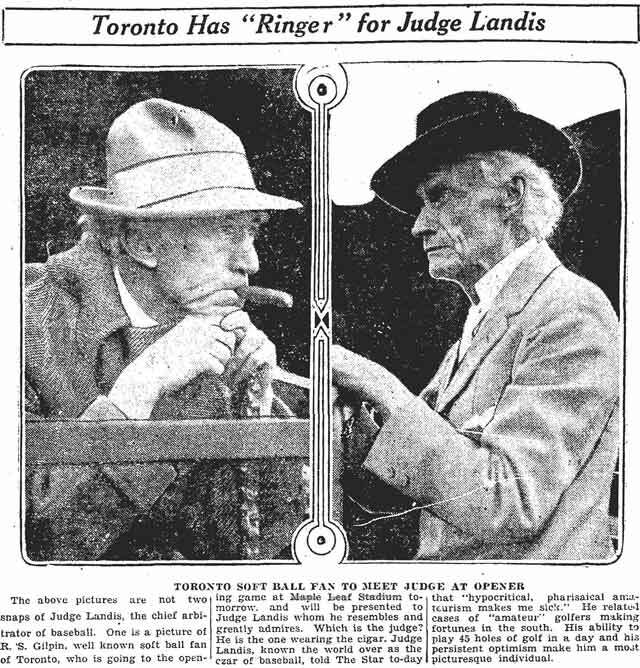 As we approach this year's Blue Jays home opener, a look at the grand—and rainy—opening day for one of Toronto's greatest baseball teams. The bottom of the ninth inning. 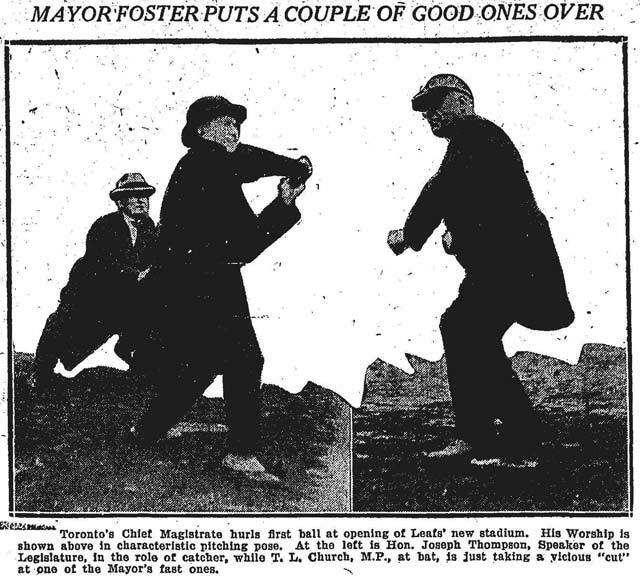 Trailing by a score of 5-0, the odds were terrible for a comeback by the hometown team. The rain which delayed the opening of their new ballpark for day lingered as drizzle. 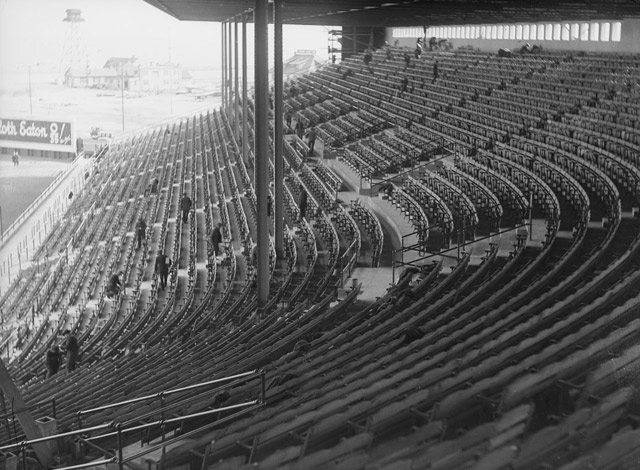 Not enough to force a second postponement in a row, but it made a dent in the day’s attendance. 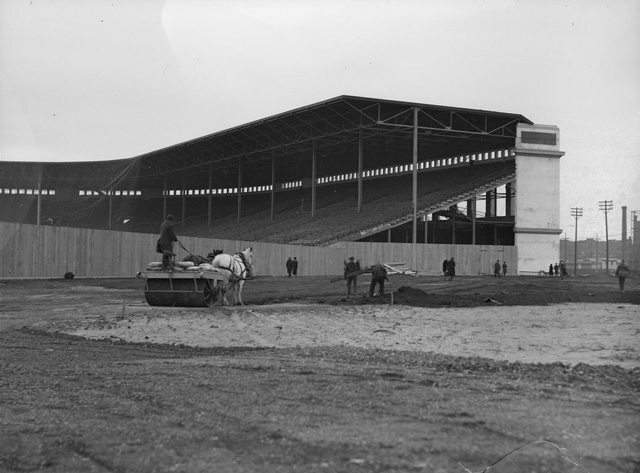 In a field built for 23,500 fans, around 14,000 witnessed the Toronto Maple Leafs fall behind the Reading Keystones. Perhaps attendees were already headed to their cars to avoid the post-game traffic jams along Bathurst and Fleet streets. 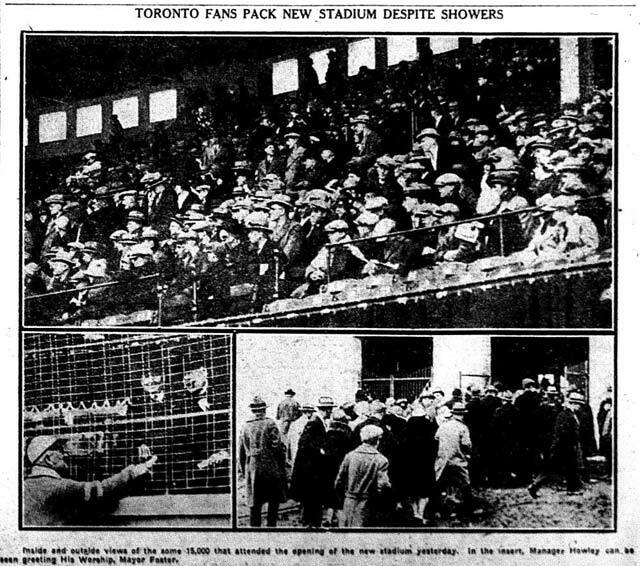 The rain continued, forcing the cancellation of April 30’s game, but it didn’t stall the Maple Leafs’ momentum. As some had predicted, the team ended Baltimore’s championship streak. 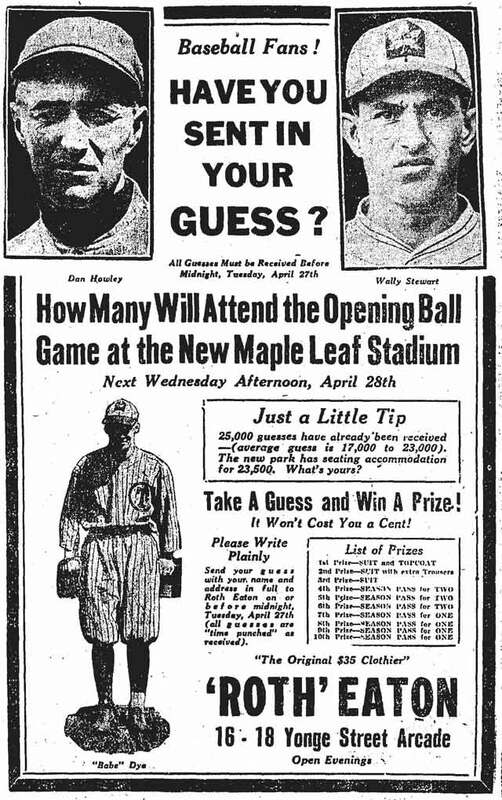 Maple Leaf Stadium could proudly boast that its debut season produced the International League title holder and the winner of that fall’s Little World Series. 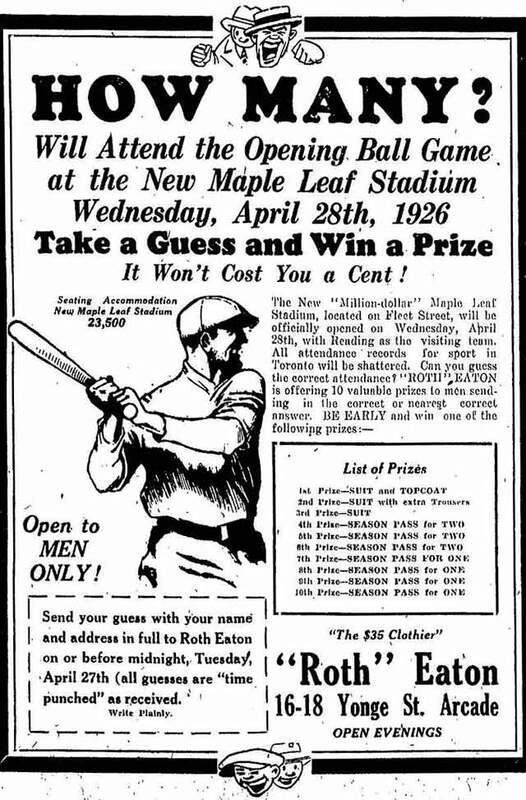 Finishing with 109 wins against 57 losses, the 1926 Maple Leafs are considered one of the best minor league teams of all time. The Reading Keystones weren’t so lucky: they finished the season with a jaw-droppingly awful record of 31-129, 75 games behind the Maple Leafs in the standings.